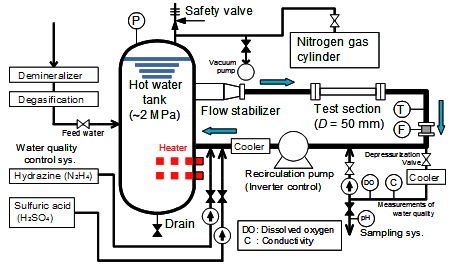 *1 Institute of Nuclear Safety System, Inc.
(1) 日本機械学会, “発電用設備規格　配管減肉管理に関する規格（2005年版）（増訂版）”, (2006). 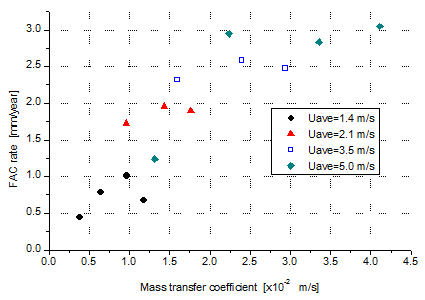 (2) Dooley, R. B. and Chexal, V. K., “Flow-Accelerated Corrosion of Pressure Vessels in Fossil Plants”, International Journal of Pressure Vessels and Piping, Vol. 77, No. 2-3, (2000), pp. 85-90. (3) 日本機械学会, “配管減肉管理法の改良・実用化に向けた調査研究分科会　成果報告書”, P-SCCII-4, (2014). 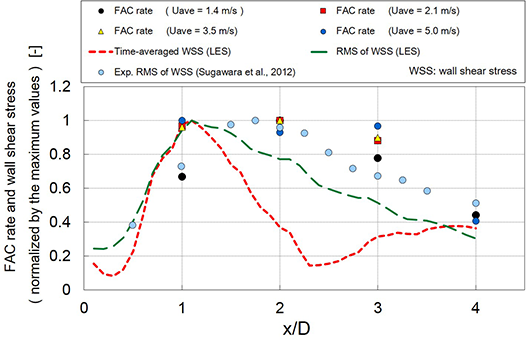 (4) Takano, T., Yamagata, T., Ito, A., Fujisawa, N., “Mass Transfer Measurements behind an Orifice in a Circular Pipe Flow for Various Combinations of Swirl Intensity and Orifice Bias”, Journal of Power and Energy Systems, Vol. 6, No. 3, (2012), pp. 402-411. (5) 恒吉達矢, 神谷一彰, 伊藤高啓, 辻義之, “オリフィス下流における物質移行係数の直接測定およびLESによる乱流スカラー輸送の解析”, 日本機械学会論文集, Vol. 81, No. 828, (2015), DOI:10.1299/transjsme.15-00162. (6) 米田公俊, 森田良, 藤原和俊, 稲田文夫, “配管減肉予測ソフトウェアFALSETの開発”, 電力中央研究所報告, L11007, (2012). 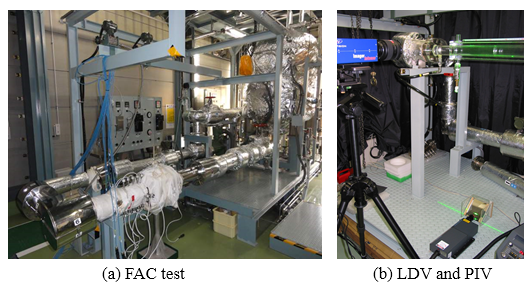 (7) Uchida S., Naitoh, M., Uehara, Y., Okada, H., Ohira, T., Takiguchi, H., Sugino W. and Koshizuka, S., “Evaluation Methods for Corrosion Damage of Components in Cooling Systems of Nuclear Power Plants by Coupling Analysis of Corrosion and Flow Dynamics (IV) Comparison of Wall Thinning Rates Calculated with the Coupled Model of Static Electrochemical Analysis and Dynamic Double Oxide Layer Analysis and Their Values Measured at a PWR Plant”, Journal of Nuclear Science and Technology, Vol.47, No.2 (2010), pp.184-196. 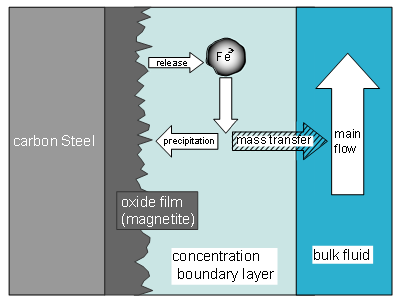 (8) Utanohara, Y., Nagaya, Y., Nakamura, A. and Murase, M., “Influence of Local Flow Field on Flow Accelerated Corrosion Downstream from an Orifice”, JSME Journal of Power and Energy Systems, Vol. 6, No. 1, (2012), pp. 18-33. (9) 歌野原陽一, 長屋行則, 中村晶, 村瀬道雄, “玉形弁下流における流れ加速型腐食（流れ場の測定と数値計算）”, 日本機械学会論文集B編, Vol. 78, No. 787, (2012), pp. 450-454. (10) 木綿隆弘, 歌野原 陽一, 中村晶, 木村繁男, 小松信義, 山田紘司, 菅原康裕, 中道淳平, “円管内オリフィス下流域における壁面せん断応力の時間平均と変動成分”, 日本機械学会論文集B編, Vol. 79, No. 799, (2013), pp. 258-262. 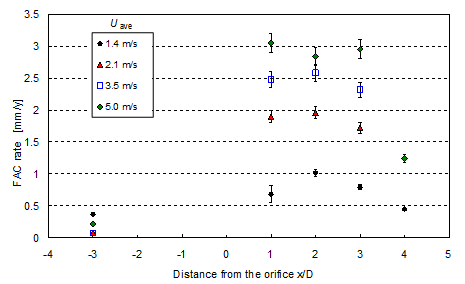 (11) Utanohara, Y., Nagaya, Y., Nakamura, A., Murase, M. and Kamahori, K., “Correlation between Flow Accelerated Corrosion and Wall Shear Stress Downstream from an Orifice,” JSME Journal of Power and Energy Systems, Vol. 7, No. 3, (2013), pp. 138-147. 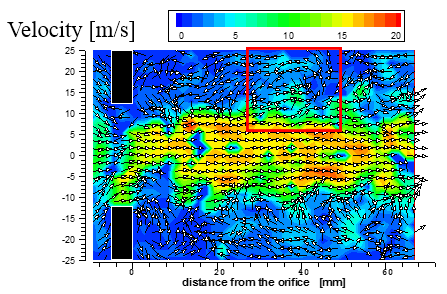 (12) Utanohara, Y. and Nakamura, A., "RANS Prediction of Orifice Flow and Comparison with Measurements and LES", Proceedings of the 2nd International Conference on Jets, Wakes and Separated Flows (ICJWSF-2008), Berlin, Germany, September, (2008). 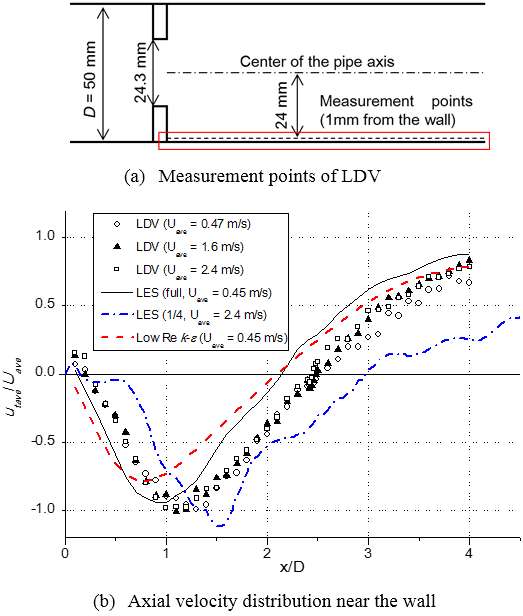 (13) Sugawara, Y., Utanohara, Y., Kiwata, T., Nakamura, A., Kimura, S., Komatsu, N. and Yamada, K., “Wall Shear Stress and Flow Field Measurements Downstream from an Orifice in a Circular Pipe”, Proceedings of the 8th KSME-JSME Thermal and Fluids Engineering Conference, GSF30-002, Incheon, Korea, March, (2012). (14) 神谷一彰, 恒吉達矢, 片井勇旭, 釜堀孝一, 歌野原陽一, 中村晶, 村瀬道雄, 辻義之, “エルボ管におけるFAC 減肉速度と物質移行係数の評価について (6) エルボ管における物質移行係数の直接計測”, 第20回動力・エネルギー技術シンポジウム講演論文集, A242, (2015), pp. 215-216. 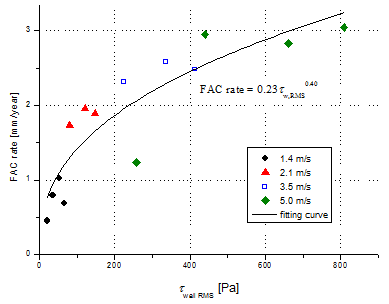 (15) Kamahori, K., Utanohara, Y., Nakamura, A. and Murase, M., “Measurement of Flow Accelerated Corrosion Rate at Elbow Pipe”, Proceedings of the 2nd International Conference on Maintenance Science and Technology (ICMST-Kobe 2014), M5-2, Kobe, Japan, November, (2014), pp. 69-70.